(Winner of the 1993 Guardian Fiction Prize) It is the spring of 1918, in this second novel of the Regeneration trilogy (following the Booker Prize finalist Regeneration), and Britain is faced with the possibility of defeat by Germany. A beleaguered government and a vengeful public target two groups as scapegoats: pacifists and homosexuals. 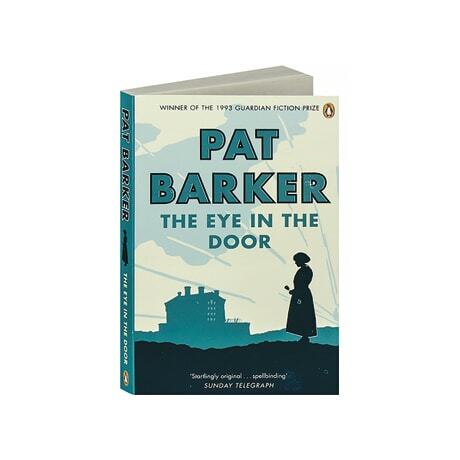 Many are jailed, while others lead dangerous double lives, and the "the eye in the door" becomes a symbol of the paranoia that threatens to destroy the fabric of British society. At the center of Pat Barker's gripping story are the compassionate Dr. William Rivers; his most famous patient, poet Siegfried Sassoon; and Lieutenant Billy Prior, a domestic intelligence agent. "I think the whole British psyche is suffering from the contradiction you see in Sassoon and Wilfred Owen," Barker said in an interview with London's Guardian newspaper, "where the war is both terrible and never to be repeated and at the same time experiences derived from it are given enormous value.... No one watches war films in quite the way the British do."